Gail and I would like to take this opportunity to first thank all our previous guests in our Pelican Beach Resort in Destin condo rentals and wish each and every one a Godly, safe, happy, healthy and prosperous new year in 2017. 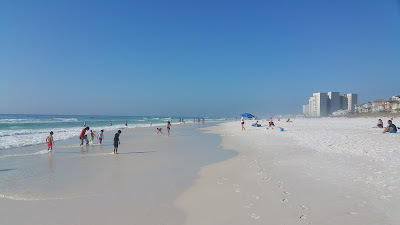 We just returned from the Destin Pelican Beach Resort a couple of days ago. We met some friends there who stayed in our #714 while we stayed in #1004. The weather was perfect as was the fellowship. 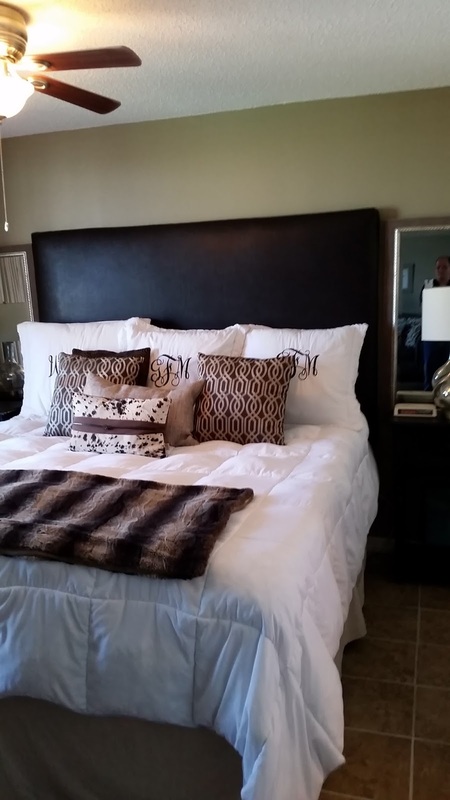 The resort as well as I have been upgrading and preparing for your stay next year. Again, thank you for allowing us to book your Destin beachfront condo rental in the past and we look forward to seeing you in 2017. 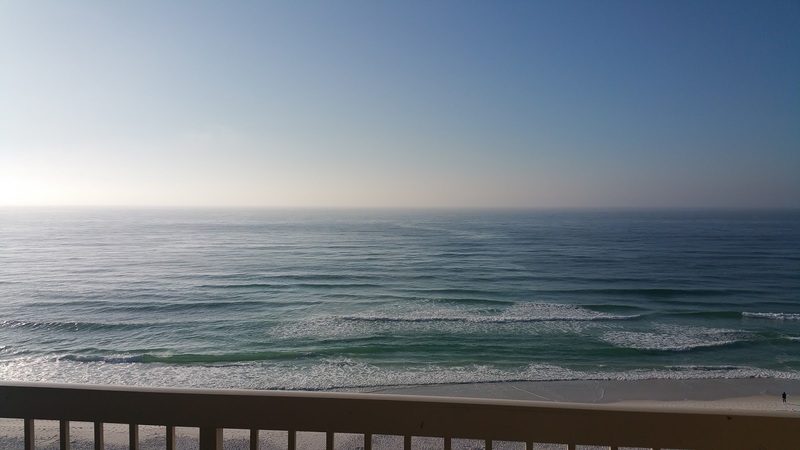 Here is a video of the nicest two bedroom condo at the Destin Pelican Beach Resort. Actually I just completed the extensive renovations and wanted to share the finished product with you here. Merry Christmas from the Fraziers who are owners at the Pelican Beach Resort in Destin. Our prayer for you this Christmas is lots of quality time with loved ones and good health going into the new year. Merry Christmas! My family is planning a quick trip to the Pelican Beach Resort late Christmas day. We plan to relax and Gail wants to see the new tile first hand. As a reminder, because VRBO changed their pricing strategy and are now "double dipping", we will no longer advertise there. Here is an article I wrote about this just a few months ago. 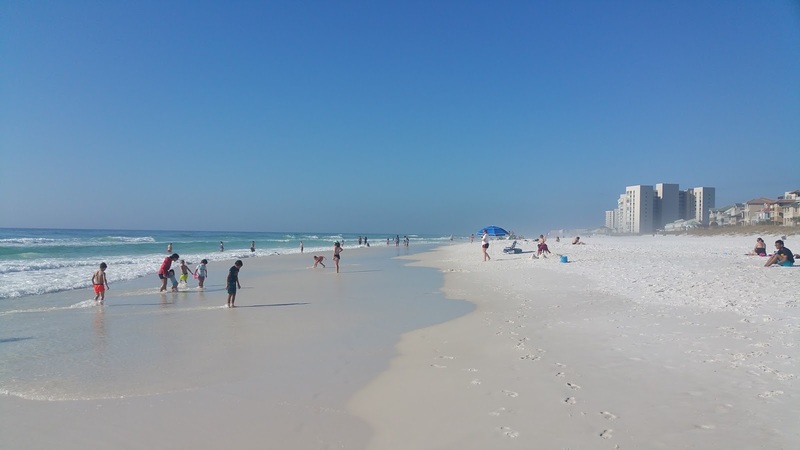 You will have to check back to this website to get your Destin beachfront condo rental vacation booking. 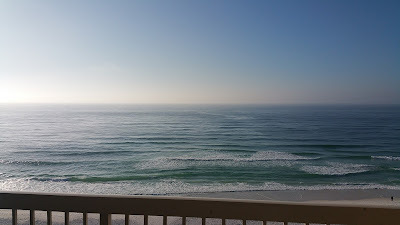 I just returned from Destin and the Pelican Beach Resort unit 714. 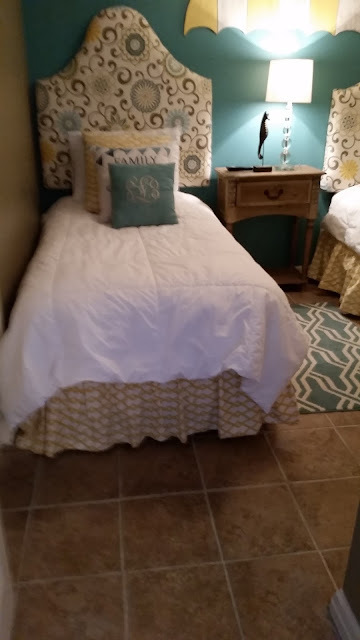 We went to tile the 2 bedrooms and worked extra hard to get it done in 3 days. The weather was gorgeous almost all the time we were there(temps in 70's). Now I know why all the snowbirds from up north. As I said in the last post we completed all the tile last year except in the 2 bedrooms. Here are the pictures of the finished product. No, after this job I definitely know I do not hire out for tile jobs! My family and I are headed back to Destin right after Christmas and this time no work and all play! I am completing the tile job next week that I began last December in the Destin Pelican Beach Resort unit 714. 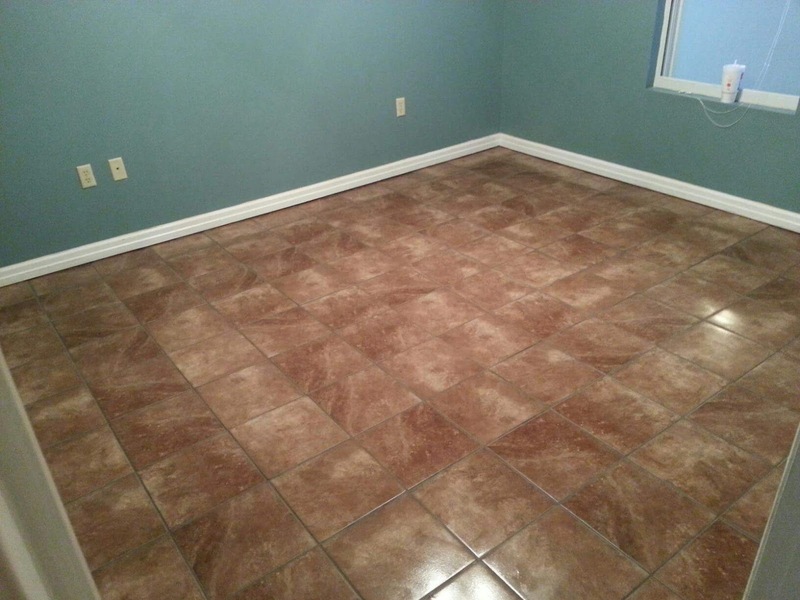 In the picture is a tile job I completed in December 2012 in my unit #1004. That unit is now completely tiled and 714 will be after next week. Last December I removed the carpet in the living room of #714 and used a jack hammer to chisel up the old tile in that kitchen. We then installed 12"x 24" porcelain tile from the front door to the patio door. Next week the plan is to remove the carpet in both bedrooms and then install ceramic tile. The code requirement now as it was last December is to first install a rubber membrane for sound proofing just under the ceramic tile. That takes a little extra time and money but the renters in the unit underneath sure do appreciate the reduced noise from up above. I will post pictures next week after the tile job is complete. I sure love the Pelican Beach Resort in Destin.